Do you dream of being able to play a musical instrument, but not quite sure of what to choose? Picking the right instrument for you all comes down to what you will truly enjoy and feel comfortable playing. 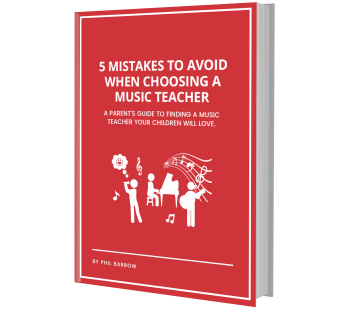 You should also select an instrument that will motivate you to commit to learning. To assist you in your selection, consider some of these questions before committing to an instrument. Probably the most important consideration before you choose an instrument will be whether you actually enjoy the sound of it. Before you pick one, try experimenting with a variety of different instruments to find one that you truly enjoy. If you’re not particularly fond of the sound, but love the look of it, odds are you’ll hardly enjoy practicing with the instrument and end up putting it down faster than you picked it up. Finding an instrument that’s the right size for you is also very important. Having to carry around an instrument that is cumbersome and heavy can end up being enough to deter you from playing it. For example, if you enjoy the sounds of the cello but are of smaller stature, consider the height and weight of the instrument and how practical it will be to transport and maneuver. You need to feel comfortable with the instrument you’re playing and be able to easily position your hands and body in whatever form that’s necessary with ease. Does it match your physical strength? Some instruments also require a significant amount of physical strength and stamina when playing them. Brass instruments and woodwinds require great breath control. Drums require endurance. Double bass requires strength. Though all of these traits can be trained and honed over time, it is something to consider when first starting out. Does it give you a favourable image? You’re more likely to play an instrument that you enjoy envisioning yourself playing. If you dream about strumming your fingers along a bass guitar, then the bass guitar is what you should focus on. Alternatively, you can experiment with a variety of other guitars to figure out what will suit you best. What is your comfort level with performance? Before picking the perfect instrument, you should consider whether you’re comfortable with the idea of playing in public or prefer to play alone in your home. Knowing your comfort level on stage can play a big part in choosing the right instrument. For example, if you cringe at the idea of playing in a band, you may want to avoid choosing something like the drums, where the goal is generally to combine this instrument with others in a performance setting. Does it open the door to other instruments? When you learn piano, you will have the basic foundation of music theory, sight reading, ear training, and finger dexterity to make learning any other instrument so much easier. Guitar opens the door to other string instruments like bass, mandolin, and banjo, though strings like violin will be a challenge. Once you learn drums all other percussion instruments are a breeze. Once you learn to play a reed instrument such as sax, playing another like clarinet is much easier. Some instruments are much more expensive to purchase than others, while some are much less. Know your budget before deciding, but also don’t let it stop you from playing the instrument of your dreams. Even if you can’t afford a baby grand piano or a vintage Gibson, you can start on an entry-level keyboard or acoustic guitar and work your way up. In fact, we always recommend starting on an entry-level instrument, because you may find after a few weeks that it simply isn’t the right fit for you. Still unsure about what instrument to start with? Reach out to Resound School of Music! We’d be happy to chat and help you figure out the right fit.